Last year Push Pop Press set off to re-imagine the book. We created a new way of publishing and exploring text, images, audio, video and interactive graphics, then teamed up with Melcher Media and Al Gore to create a new kind of book. Although Facebook isn't planning to start publishing digital books, the ideas and technology behind Push Pop Press will be integrated with Facebook, giving people even richer ways to share their stories. With millions of people publishing to Facebook each day, we think it's going to be a great home for Push Pop Press. Al Gore's Our Choice will remain available for purchase, and we've decided that our future profits from the book will be donated to The Climate Reality Project. There are no plans to continue publishing new titles or building out our publishing platform that was in private beta. We are incredibly grateful to everyone who has supported and expressed interest in Push Pop Press. Both Push Pop Press and Facebook share a passion for improving the way we share and explore ideas and we couldn't be more excited about what the future holds. Kimon Tsinteris is a software engineer with over 10 years of industry experience. He designed & implemented the Push Pop Press publishing platform. Prior to Push Pop Press, Kimon worked at Apple where he brought location & mapping services to iPhone & iPad. Before that, he worked at Microsoft where he helped build the content management platform SharePoint. Mike Matas has spent the past 10 years making computers more fun and easier to use. 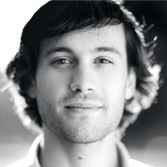 He designed the look and feel of the Push Pop Press physics-based multi-touch user interface. 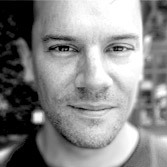 Prior to Push Pop Press Mike worked at Apple where he designed user interfaces and artwork for the iPad, iPhone, and Mac OS X. Before that, he co-founded Delicious Monster, a software company that created the first virtual bookshelf application Delicious Library. Austin Sarner has been building rich software user interfaces for the past 6 years. 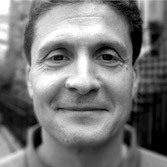 He helped develop the Push Pop Press multi-touch user interface and publishing platform. 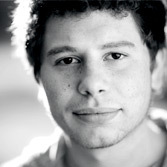 Before joining Push Pop Press, Austin created apps such as AppZapper and Disco, and worked at the Dutch software company Sofa. Bret Victor teamed up with Push Pop Press to create Our Choice's interactive information graphics. His past work includes designing and prototyping user interface concepts for experimental products at Apple, and designing and engineering electronic musical instruments at Alesis. 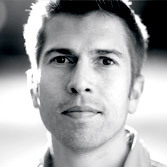 Bret also writes and speaks about new approaches to information design. Charles Melcher is founder and president of Melcher Media, Inc., a producer of multiplatform content and strategic storytelling. Since 1995, the New York City-based firm has worked with clients such as Al Gore, Autodesk, Condé Nast, Gap, GE, Harley-Davidson, HBO, Hearst, Lexus, MTV, Nike, Neiman Marcus, and Time Warner. Melcher Media is noted for developing cross-media products that unify editorial, design, and marketing. The company's emphasis on brand integrity and visual identity systems creates long-lasting impact with popular audiences.